The U.S. military today openly boasts of global reach, global power. Full spectrum dominance is the goal, with that spectrum encompassing land, sea, and air operations, but also extending to space (“the shining stars, and beyond,” one Air Force advertisement claimed) and cyberspace. The desire for global dominance has deep roots in American strategic thought. In American strategic circles the foremost proponent of this vision was Alfred Thayer Mahan. More than a century ago, Mahan promoted a vision of American dominance achieved through naval power, in those days big-gunned battleships. Mahan believed America was the successor to England and was destined to build a great empire. Today’s U.S. military is inherently Mahanian. Even though most Americans think of our military as defensive (after all, it’s advertised as the Department of Defense), our military is obviously structured to take the fight to the enemy. America’s “warriors” are forever leaning forward in the foxhole, forever on alert, forever ready for the next exercise in global reach, global power. The rapid growth of England’s empire provided the justification for Navalism. In 1800 the British Empire had 20 million subjects, spread over 1.5 million square miles. In 1900 she had 390 million subjects, spread over 11 million square miles. 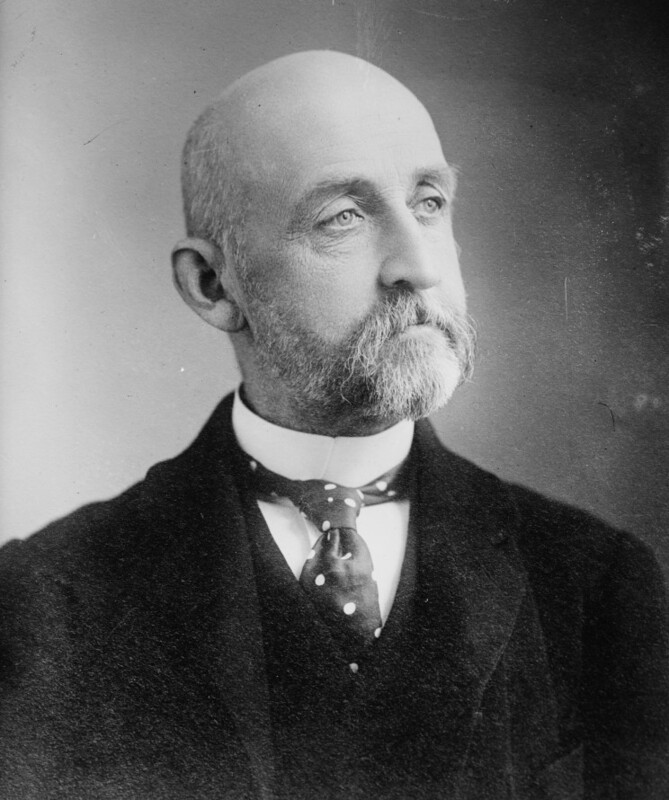 Explaining England’s success was one mission of Captain Alfred Thayer Mahan, United States Navy (USN). In his Influence of Sea Power Upon History, 1660-1783, published in 1890, Mahan plainly stated England dominated the world because of her holy naval trinity of merchant shipping, colonies, and, most importantly, her navy. He observed “a country’s power and influence must depend upon her hold upon regions without her own borders, and to which the sea leads. The influence of the little British islands gives a lesson our people will surely learn.” Mahan’s primary purpose in Influence was rhetorical: to persuade Americans that a large USN built around battleships was essential for their wealth and security, and to move them to support, with their votes and purses, such a navy. Mahan further drove home his lesson that superior fleets bring command of the sea and its subsequent benefits of national growth, prosperity, and security by using examples from history. He warned Americans they were “being led, by a like [that is, like France’s] redundancy of home wealth, into the same neglect of that great instrument [a navy].” France’s “false policy of continental extension swallowed up the resources of the country,” asserted Mahan, “expos[ing] the greatest source of [her] wealth [commerce and colonies] to be cut off, as in fact happened.” The one instance the French got it right was during the American Revolution. The French rebuilt their navy and got temporary control of the seas, partly due to blunders by the Royal Navy. To support his call for a larger USN, Mahan cleverly quoted George Washington on the decisive role the revitalized French fleet played at Yorktown. To understand Mahan’s fixation on the superior fleet strategy, we need to study the distinctly American context in which he wrote. Mark Shulman showed in The Journal of Military History that there was an influential movement in America in the 1880s to reinterpret the War of 1812 between the United States and England. This movement played up the role of the USN at the expense of the Army, and emphasized the need for a powerful navy to protect America and to project American power abroad. Theodore Roosevelt’s The Naval War of 1812, published in 1882, was a prime example of the revisionist literature of this group. Mahan’s book is only the best known polemic of an American Navalist movement which sought to revitalize a USN struggling through fifteen years of post-bellum neglect. Neglect there was. Elting Morison, a leading naval historian, has said that for about twenty years after the Civil War, “In [US naval] strategy the highest thought was that you existed to protect the coastline. You went out on station if there was a war and waited for the enemy to come to you. You then went close to her and at very short ranges either boarded or rammed or poured broadsides into her.” Mahan would have agreed with Morison; in his words, there was no formulated naval policy after the Civil War, only “apathetic drift,” a period of “decadence.” And while some pointed to the stunning successes won by the USN pursuing guerre de course in the War of 1812 as a possible future strategy, Mahan stressed our dismal failure to command the seas, which allowed the nasty Britons to burn our capital, stop our commerce, and threaten our national existence. Mahan’s vision was a USN that would at least rival the Royal Navy. He thus unashamedly simplified naval strategy to mean battleship building, as when he stated “Naval strategy has indeed for its end to found, support, and increase, as well in peace as in war, the sea power of a country.” The USN needed to grow, and a superior fleet strategy provided the most room for the USN’s future growth. Mahan turned to Jomini when he dealt with the specifics of naval strategy. He quoted with approval Jomini’s definition of strategy as deciding where to act. Under “strategy” he listed such issues as the selection of the theater of war, the paramount importance of securing lines of communication, the role of military ports, and the choice of the objective and how to achieve it. Like Jomini, he stressed the geometry of strategy and the value of concentration, warning the USN must never divide the fleet into Atlantic and Pacific squadrons. Mahan helped speed-up naval modernization in the US, and his efforts appeared justified by the Spanish-American War of 1898. But Mahan’s influence went far beyond American shores, and for several reasons. First, Mahan, imitating Jomini, searched for scientific or timeless principles of naval warfare. His Influence is a practical handbook enlivened by history, not a Hegelian tome obscured by dialectic like Clausewitz’s On War. Second, Mahan writes well. I hesitate to quote once again his melodramatic depiction of Nelson’s navy, “those far-distant, storm-beaten ships, upon which Napoleon’s soldiers never looked, [that] stood between them and the conquest of the world.” Nonetheless, it is worth quoting to demonstrate Mahan’s popular appeal. One can’t imagine Kaiser Wilhelm committing every word of Clausewitz to memory, good Prussian though he was. Third, and perhaps most importantly, Mahan wrote the perfect book for the time. England had already voted for the Two Power Standard in 1889, which Mahan’s book seemed to verify as wise. His most attentive audience, however, was in Germany, where the Kaiser and Admiral Tirpitz seized upon his work to justify their naval buildup in pursuit of Germany’s place in the sun and world-power status. Mahan’s drawbacks are well-known and many: he overestimated the decisiveness of navies in warfare, subordinating history to his “artistic” (as he termed it) vision of a powerful USN ruling the seas, and he almost completely ignored land-sea cooperation. Although he paid homage to the political dimensions of war, he preached almost exclusively that “victory goes to the side with the bigger fleets,” in effect reducing naval strategy to naval shipbuilding. of submarine technology. He did remark, based on second-hand knowledge of the Russo-Japanese War, that submarines, because they lay so low in the water, had a limited horizon and thus had difficulty locating ships. He also criticized the fleet-in-being strategy, saying its utility had “been much overstated” and that the superior fleet would always sink or otherwise neutralize the inferior. Events in the Russo-Japanese War seemed to support his ideas. The Russian fleet in being at Port Arthur proved of little value, Mahan wrote, and the Japanese simply “masked” it by blockade. He did observe that if one was stuck with an inferior fleet, the proper strategy was to divide the enemy’s superior fleet by some tactic, then crush it in detail. He termed this the “defensive-offensive,” and here he spoke highly of the Dutch Admiral De Ruyter’s efforts against the Royal Navy during the Anglo-Dutch wars of the 17th century. Mahan exerted a powerful influence over naval strategy in the United States, Japan, and Germany. In America, the USN became a top-heavy force of mainly battleships, serving as the nation’s “first line of defense.” Mahan’s dictum of “Never divide the fleet!” remained gospel up until World War II. In Japan, Mahan’s Influence was adopted as a text in all her naval and military colleges. In Germany, the Kaiser had it translated and boasted that all his naval officers were reading it. But while the United States and Japan prospered by following his teachings, Germany embarked on a dangerous and costly naval arms race with the Royal Navy. In building dreadnoughts to win command of the sea, the Germans created a cold war between themselves and the British while wasting valuable resources that could have been devoted to land warfare. 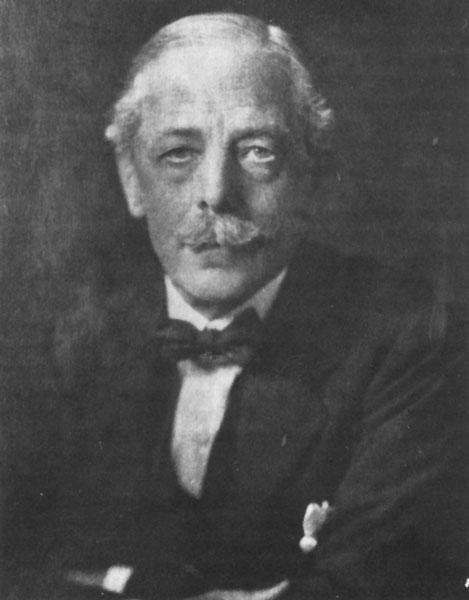 It is within the context of an England threatened by Germany’s naval program that we need to place Julian Corbett and his book Some Principles of Maritime Strategy, published in 1911. Two obvious differences — the time and the country in which he’s writing — separate his work from Mahan’s. Corbett had little need to convince his fellow Britons of the importance of a navy, nor did he need or want to win over a world audience already enthralled by Mahan. War loomed, and Corbett wanted to ensure the Royal Navy had given the matter some thought. His book is a sophisticated reading of Clausewitz and how the Prussian’s ideas can be applied to naval warfare. Corbett, who taught naval history at the Royal Navy college at Greenwich, defined maritime strategy as the mutual relations of navy and army in a plan for war. War itself he defined in Clausewitzian terms as the continuation of policy by other means. Corbett’s strategic theory is more modern sounding than Mahan’s precisely because of his use of Clausewitz, but also because he believed that through close cooperation, armies and navies could produce a synergistic effect. While he should be applauded for his lack of service parochialism, Corbett was reasserting the critical role the navy played in strategy at a time when the British Army was controlling the terms of strategic debate in England. Corbett defined naval strategy in relation to maritime strategy. Naval strategy was the movement and actions of the fleet which best advanced the maritime strategy. While this might involve attacking the enemy fleet and gaining command of the seas, it might also involve amphibious operations. The strategy adopted would depend on the circumstances of the conflict. Reading the circumstances and taking the proper actions, Corbett believed, were skills enhanced by the study of history and strategic theory. Most commonly, gaining command of the sea was the primary object of naval warfare. Once command was gained, either through battle or blockade, one could then control the all-important lines of communication or trade routes. Command was best gained by battleships, whereas control was best exercised by cruisers which could protect one’s own trade while interdicting the enemy’s. Corbett’s distinction between gaining command of the sea and exercising that command was crucial to his thinking. His approach to naval strategy was thoughtful and descriptive, rather than prescriptive. 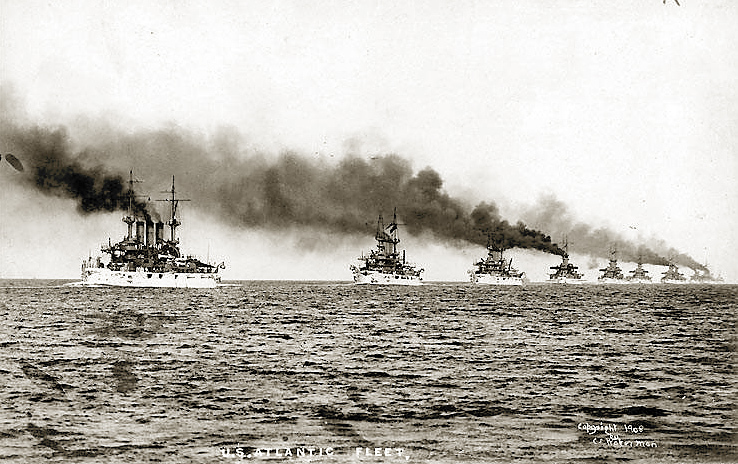 He recognized a fleet-in-being could dispute control of local communication lines and prevent a superior fleet from gaining positive results, as the German High Seas fleet did to some extent during World War I. Like Mahan, though, he rejected guerre de course as a viable strategy. Commerce raiders would have limited range, and he thought improvements in technology such as wireless radios favored the defense. He saw submarines working in concert with fleets-in-being to threaten superior fleets, but he overlooked their potential as commerce raiders. Keeping the German fleet firmly in mind, Corbett cautioned the Royal Navy and the Fisher school against reckless attacks to obtain an immediate decision by fleet action. If the Germans refused to sail, Corbett recommended a blockade, distinguishing between its naval and commercial functions. Through a blockade, which most likely had to be “open” or “loose” because new technologies such as torpedoes made close blockades too risky, the Royal Navy could prevent the Germans from putting to sea, thereby effectively gaining command of the sea. With command won, the navy would mount a commercial blockade to control trade. The ultimate target was Germany’s will and her finances. This is essentially the strategy the Grand Fleet and Admirals Jellicoe and Beatty followed against Germany during the Great War. It was exhausting sea duty lacking in glory, but it worked. To conclude, Mahan charted the dimensions of naval strategy, while Corbett plumbed its depths. Both of their strategies must be understood in their context. Mahan developed a strategy for a navy adrift and in need of ideas. At a time when strategic naval thought was arguably neglected in England, Corbett forced his navy to think more deeply about their rich tradition and come up with strategies which fit the crisis at hand. Both men repay reading, although Corbett, like his mentor Clausewitz, is more thought-provoking. Posted on July 12, 2014 by wjastorePosted in US Military, warTagged Alfred Thayer Mahan, Corbett, Empire, full spectrum dominance, global reach global power, imperialism, Julian Corbett, Mahan, naval strategy, naval warfare, Navalism. Not particularly exciting reading but certainly informative on how imperial power has been in our military’s mind since the founding of our nation. If they were thinking this way two hundred years ago just think what the military-industrial complex is up to today. We are living in a post-constitutional country in which the citizen’s well being and rights are being crushed by an outdated two party political system totally owned by the military-industrial-corporate complex. Yes, I agree. Not exciting. But it does highlight a drive for world power by the U.S. that dates back to the 1880s and 1890s. Back then, it was linked to power projection by “the great white fleet” in part to “take up the white man’s burden,” as Kipling wrote. Men like Mahan simply thought that American power was desirable, a civilizing force, best achieved by enlarging the navy. Today, Special Forces and drone strikes have taken the place of big-gun battleships, but the mentality is largely the same. American military power is seen as highly desirable and largely benign by the vast majority of Americans. Empire is us. For this, Mahan deserves much of the credit — and the blame.